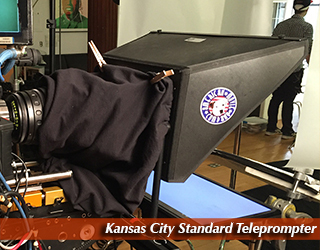 This set up allows talent to look directly into the lens while reading a script (that is projected on a piece of glass in front of the camera). This set up is most commonly used by news anchors. 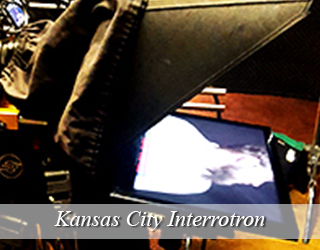 The Interrotron Mark III allows a director and talent to have a face-to-face conversation, while also looking directly into a camera lens. 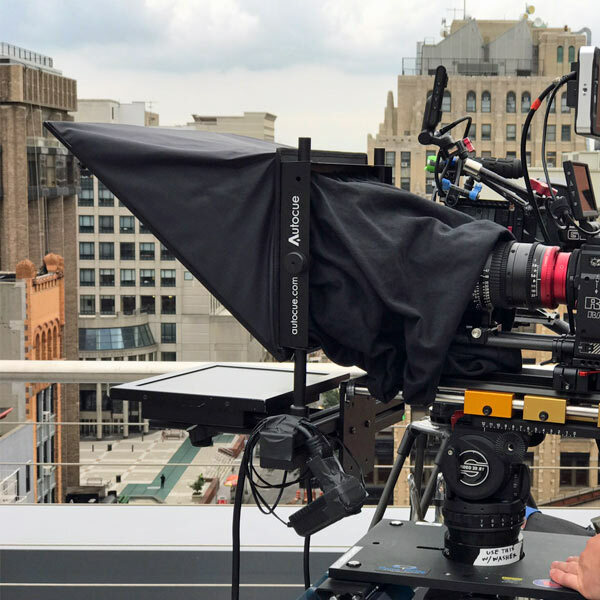 The director can make judgements on footage, while the talent is at ease and talking to a face, rather than a lens. The Interrotron Mark II only allows talent to see the director. 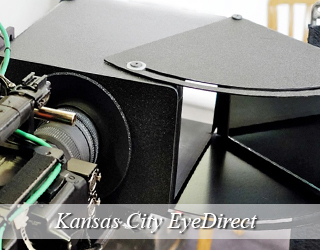 The EyeDirect functions like the Interrotron Mark III in that both talent and director are able to see each other “face to face”. The portable unit comes in a ready to ship custom-fitted Pelican case. The case weighs 30 lbs and is just a bit larger than the typical airline carry-on bag. This unit consists of two glass panels that are placed on either side of a podium. These are most popular for political speeches, award ceremonies, conferences and graduations! For more information as well as images of the Presidential Prompter click on the tab at the menu above. 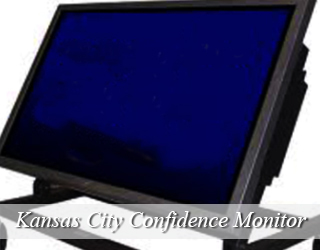 The confidence monitor is an alternative to the speech prompter option. This is used for speakers/performers who do not stand at a podium but rather prefer to walk around the stage. The size and number of monitors vary depending on the venue and preference of the client. Please call 917.414.5489 to discuss your setup. 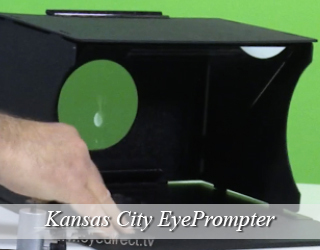 The iPad prompter is a low cost alternative to the through the lens unit. To learn more, click the link below. 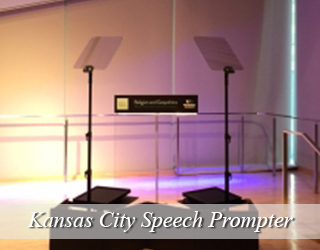 The podium prompter acts as a green alternative to paper notes. 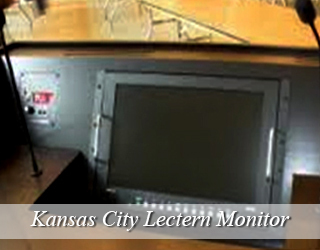 The monitor is placed on top of a podium. The speaker glances down at the monitor to access the copy, and then back at the audience. This unit is not available in all locations and is custom built. Please call Bill at 917-414-5489 for more information re availability and pricing. Founded in the 1830s as a Missouri River Port, it is the largest city in the state of Missouri. It was later incorporated on June 1, 150. Kansas City is 319.03 square miles and is home to 481,420 according to the 2016 census with over 240 neighborhoods. The city is shaped like a bowl and is surrounded to the north and south glacier which is carved limestone and bedrock cliffs. The architecture in Kansas City is very distinct and has over 200 working fountains. When visiting Kansas City there are many great locations such as the City Market. The City Market was established in 1857 and it is the largest public farmers’ market in the Midwest. The Arabia Steamboat Museum is also a place to visit and it is in the City Market. The downtown area is filled with restaurants, plenty of shopping, literary and visual arts and bohemian culture. In Kansas City, the federal government is the largest employer in addition to Ford Motor Company and Sanofi- Aventis, the largest drug manufacturing plant. The city is also the headquarters for H & R Block, Russell Stover Candies and many other companies. Katie Flanch went to the New York Film Academy for Acting. After completing the program, she went on to act in plays and shows in the city. While acting, she came across American Movie Company and began working with the business more often. She was often the go to person when it came to making talent feel more comfortable on set. 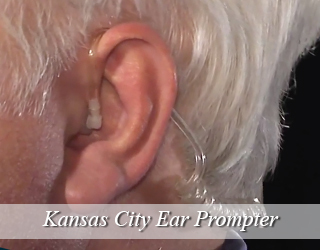 Katie moved back to Kansas City in 2013, where she continues helping people hone their speech performance skills. Tasha Lingfield has shot and produced 12 short films, a web series and acted as assistant director on a feature length film. 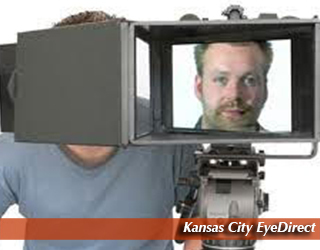 She now heads the company’s Kansas City operations, and specializes in WebCasting technology. In her spare time, Tasha loves to volunteer, read, play with the newest technology and watch re-runs of The Office on Netflix. 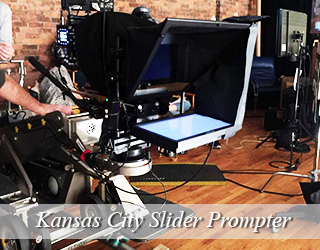 Xavier Torres has been a prompter operator for 4 years. He has produced 4 short films and is currently a director of photography for the second season of a web series. He loves reading comics, learning about the latest tech and hanging out with the office dog, Mimi. Mimi is a gentle dog, who loves to snuggle with the office staff and playing with her chew toy. Going for long walks with Clotilde is a daily routine I look forward to. I’d heard a dog was a good way to meet people. It’s true! Craig and I have been together for two years! Yes! This is my way of announcing… We are so happy! I moved here nine years ago to work as an independent photographer and filmmaker. I’ve always loved the different perspectives I can capture behind a lens, regardless if it’s a still frame or a moving one. People come to Kansas City from all over for a myriad of reasons. Some come for the world-renowned jazz heritage and nightclubs while others travel here to experience the African American heritage. Many are looking to get a taste of what this Missouri town is all about. The nightlife and restaurants are revered by true food enthusiasts and connoisseurs. You can’t walk more than a block without wanting to check out a microbrew and a daily food special. I love the lifestyle and co -workers that I have established here in Kansas City. A few years ago, I met up with a producer for The American Movie Company and we started collaborating on artistic projects. I have been afforded the opportunity to work in various capacities. I am very appreciative and know how lucky I am. Their employees’ backgrounds ranged from writers and poets, to ex-journalists and artists. This creative hub was exactly where I wanted to be and for the first time in my professional life I had a sense of belonging. Bear with me while I go off on a tangent. The cameraman, Blake, was the one who told me about the world’s largest shuttlecocks. I seriously had no earthly idea what he was talking about. 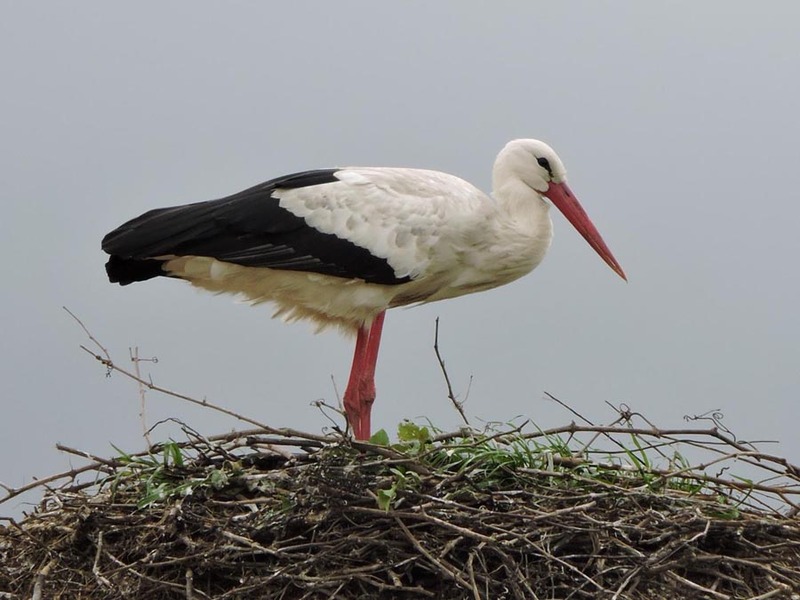 What is a shuttlecock? I asked. He shot me a crooked grin and explained what it is with humor. It’s a birdie! I knew what a birdie was, although we didn’t play much badminton in Miami, but I had family in the Midwest that played it in the backyard when we had annual get-togethers. I still wasn’t sure what to expect when he suggested that I go to the museum lawn and have a look. I don’t think anything could have prepared me for the 18-foot-tall birdies that were said to each weigh two and a half tons! Apparently, the majority of art critics found them to be in horrible taste, especially juxtaposed against the nearly 40,000 works of art inside the Nelson-Atkins Museum of Art. I personally thought they were quite clever and brilliant. I spent three hours shooting there that day. Blake shot there as well and later we combined our footage and made a cool video, a promo for the museum charity’s event that season. I’m proud to work for a company that is such an integral part of its community. Next month I’m gearing up for the Big Brothers, Big Sisters Bowl-a-Thon that we cover every year – It’s amazing! 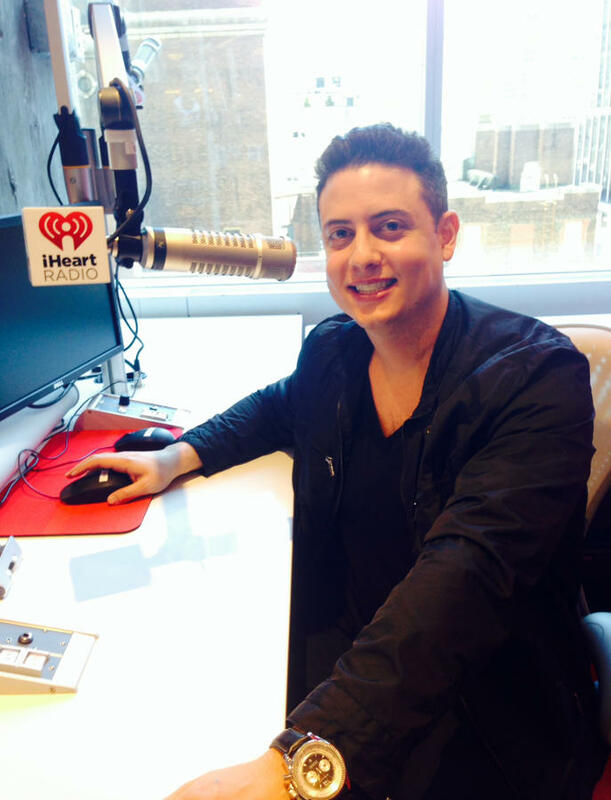 Michael Gonzalez travels with the unit! The Kansas City Convention Center spans 8 square blocks, and can accommodate events with its 388,000 sq. ft. of column free exhibit space, 48 meeting rooms, a theatre space, an arena, and an outdoor festival space. 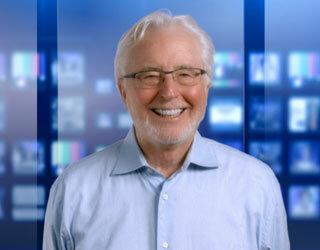 We supply teleprompter solutions at this venue.